What follows is a compilation of installments of a series that I did in November of 2008 on the blog. Shortly after the election, there was a lot of discussion, and when the question of the difference between "socialism" and "communism" came up--as I shall expand on below--I took the opportunity to clarify some thing, not to mention getting on my podium as well. I've cut out extraneous matters, but basically kept the entries as they had appeared in context. Consequently, you will see some transitional phrases that really don't fit, but I wanted to maintain the informality of style that otherwise would have gotten totally lost. In an e-mail conversation the other day, I mentioned to someone that the Nazis in Germany were socialists, though they definitely were not communists. My friend replied that he thought that the Nazis were fascists, and, of course, they were. These labels can be more confusing than helpful, and I promised that I would talk about the differences in a blog post. So, here goes. I don't have to tell you. You're the fascist, so you know what you are. That conversation would have taken place sometime in the late eighties or early nineties, so theoretically it's eligible for my list of the ten dumbest things said in the twentieth century, but I'm afraid it doesn't have sufficient long-term significance for this honor. I'm merely bringing it up in order to illustrate how people misunderstand or misuse political labels. Frequently, of course, such terms are used with pejorative intent, as in that little vignette. So, let me try to clarify the three terms: socialist, communist, and fascist in their most common usage. If you know your way around political philosophy, or if you consult various sources, you will quickly see that there is no unanimity in their descriptions or definitions, so I will try to remain fairly general. A big part of the problem with this terminology is that it changes over time as well as from country to country. One thing is for sure: I have multiple times insisted that you cannot get the current meaning of a term from its etymology, and this is one of the most outstanding examples of that principle. As I said, I will try not to split any hairs, so here is a very, very general definition of socialism. A socialist is someone who believes in the redistribution of wealth. Socialism tries to bring everyone in a nation or state onto economic parity, or at lest to lower the gap between rich and poor significantly. Compared to the abstract models built in the nineteenth century, virtually all of us living in Western-style democracies are to some extent socialists. The only people perhaps exempted would be the followers of Ayn Rand, who called her philosophy "objectivist," but philosophy books also call it "egoist" (sic--not a misspelling of "egotist"). Rand thought that nobody owes anyone else anything, and if we help others it should only be because we help ourselves in the process. Personal sacrifice on behalf of anyone else is irrational and wasteful, and we should refrain from it as much as we can. So, "objectivists" would be the exception, but if you hold to any position in which the government helps other people, realizing, of course, that the government's money is actually your money, you have accepted socialism to some tiny extent. By saying this, I'm not trying to trivialize or vacate the term, but I'm attempting to explain it by a "limiting case." Obviously, it's absurd to call someone a "socialist" just because he or she thinks it's a good idea for the government to pave roads so that ambulances can get sick people to the hospital faster. Still, in a fairly far-fetched sense, if the government takes your money in order to take a burden off someone else, this would be "redistribution of wealth," and, thereby, a miniscule form of socialism. Thus, in this minimal definition, almost all of us are "socialists." However, whether the term is applied meaningfully and not just technically, depends on the extent to which the government enforces the socialist idea, and the easiest way to do so is to imagine a comparison chart of how socialistic various countries are. I would guess that the United States would be in the lower half of such a chart. The government is the agent. If I were to carry out an act of charity just on my own initiative, that would not constitute socialism. Socialism is based on the idea of the redistribution of wealth. This is to say that it begins with the reality that some people are economically better off than others and attempts to even out the differences. Everyone is entitled to exist on a minimal positive level. In other words, people on the lower level of economic standing are not just missing something that it would be nice for them to have, but they are being deprived of something to which they are entitled. People who have more than others are not entitled to keep everything that they own. Without these two assumptions, any attempts at redistribution of wealth by the government would be nothing more than Robin-Hood style theft. The government needs to have moral authority to take resources from one person, who believes that he has earned that money, and to give it to someone else, who has not earned that money, but is being denied something that he or she is entitled to. In other words, it must be morally wrong for there to be a large gap between those who have a lot and those who have very little, and the government redresses that flaw with socialist programs. Now the obvious questions are: Who sets the standard of what is enough? and What is the best method to even out the economic standard of a country's population? Well, it's becoming obvious to me that this essay has to be a multi-parter. So, need to hang it up for now, and next time I'll pick up with communism and try to show that there is a fundamental difference between it and socialism. Let's continue with the exposition of socialism, communism, and fascism. I'm writing this introduction after I've written the body of tonight's entry, and I want to emphasize that, even though the idea of writing this essay arose out of a conversation about last week's election,this piece is not at all about the election. I am also realizing that, if I want to be faithful in my time allotments, it's going to take more than two or three installments. Last night I wrote about socialism and said that in a minimalist way, with an over-generalized definition, very few people are not in some way micro-mini-socialists. An overly loose application of this term incorporates the idea that a government should support its citizens in various ways by taking money from those who have it and giving it to people who do not. For example, it is customary to remunerate fire and police departments with tax money, and so, those who are better off than others fund these organizations, which, in turn, are obligated not to discriminate on the basis social standing. If you look at the message board, you'll see where Jimm reminded me that in that sense, even Adam Smith was a socialist, to which I replied that this was my point. Any decent human being, it seems to me, recognizes that those who are well off have an obligation to care for those who are not. Consequently, socialism in its more common appelation is a matter of the degree to which it is implemented. Having tried to make the point that the roots of socialism arose out of everyone's conscience, from hereon out I will reserve the term for those who envision a society in which socialism is the main philosophical foundation of the economy. Real socialists don't just want the government to be involved in a few aspects of our economic lives, but they expect the government to be regulating the economy on all levels. Many people don't mind contributing money to good causes, but most people also have a limit as to how much they are willing to sign over to the government and its projects. Now, follow me closely here. In order for a government to be consistently socialist, it cannot ever just say, "Well, we're done. There is complete equity among all members of our society; people are all contributing to the best of their ability, and everyone's needs are being met by government programs." In other words, a truly socialist government must continuously find more and more problems that it must address. If the foundational justification for a socialist government is to heal wounds, it must continuously find new wounds to heal. A socialist government by definition must be an activist government. If what I'm saying here sounds somewhat farfetched, consider the opposite, viz. that the government has reached a point that it declares that all all citizens are totally equal, and an economic egalitarianism has been attained. I can think of two reasons why this is not going to happen: For one thing, the evidence is in by now that consistent socialism does not work for any number of reasons: workers lose motivation, the government runs out of funds, people will insist on receiving benefits for which others have worked, etc. Second, I have a very hard time imagining anyone occupying a seat of power, and then reliquishing it because the government has finished its job. That's not likely--to say the least--because it goes against the grain of human nature. 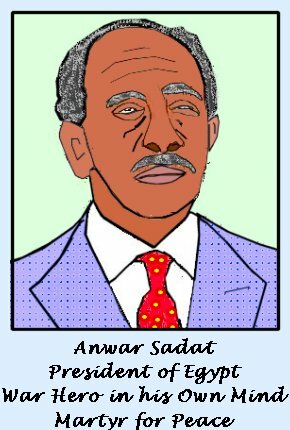 This idea is beautifully illustrated by Anwar Sadat in his autobiography, In Search of Identity. When he took over as president of Egypt, following the revolution led and perpetuated by Abdel Nasser, he saw a challenge to get his country away from the notion of the never-ending revolution. Some people like revolutions for what they get out of it, but after a while they want to be able to lead a peaceful, balanced life. On the other hand, the government needs to maintain credibility and cannot slacken off in its enterprise of continually finding more targets for its programs. And thus, we come to the major point I wanted to make tonight. Consistent socialism sooner or later will hit a point when the citizenry begins to feel oppressed, particularly if they do not see any tangible benefits in the supposedly ongoing revolution. At that point, the government needs to start forcing people to participate in its programs. And thus, we get a set of parallel lines in another hypothetical graph: the extent to which a government tries to maintain its socialistic agenda is directly correlated with the loss of various rights or freedoms by its citizens. The more socialized it is, the less freedom and rights can its people enjoy. The only consolation I can provide for anyone who has slept through the twentieth century is that the same correlation appears whenever the government is based on any other ideology. Socialism is based on the idea of the redistribution of wealth. This is to say that it begins with the reality that some people are economically better off than others and attempts to even out the differences. --------Everyone is entitled to exist on a minimal positive level. In other words, people on the lower level of economic standing are not just missing something that it would be nice for them to have, but they are being deprived of something to which they are entitled. ------- People who have more than others are not entitled to keep everything that they own. Now, let me go on with my little exposition on what started out as the question of "What is the difference between socialism and communism?" Please keep that in mind. I am not setting up a full-blown political philosophy here, nor do my criticisms of socialism carry the weight of proving that, if there is something wrong with socialism, then libertarianism must be correct. As I said on the message board, such a construal would be logically invalid and conceptually false. In the box on the right is a summary of what I perceive as the attributes of socialism in general. Now, before we are ready to tackle communism and fascism, let me call attention to the kinder, gentler option of implementation, called "liberalism." Theoretically, one could be so convinced of the truth of socialism that one might engage in seriously harmful actions in order to impose this ideology on one's people. Let's take our time and save belaboring how this has been done in various countries for later. But it didn't happen in England or France, let alone the U.S. As everyone knows, Germany and Italy did have implosions, but in a different form than Marx had predicted. It is not by coincidence that the countries which Karl Marx expected to undergo the revolution towards communism, never did. The reason why it did not happen the way that Marx thought it would, is that the West European countries, even though they were committed to "socialism" in the totally neutral sense in which virtually everyone is a "socialist," reduced it to a more moderate form, that we can call "liberalism." "Liberalism," also known as the "L-word," is the target of much--let's mince our words here--criticism and satire these days. I'm not going to get into that discussion now, though people should have no problem knowing where my political allegiances are. But looking at the larger picture, the point is that liberalism as a whole plays by the rules. Sure, we accuse each other of underhanded devices, but President-elect Barach Obama won an election, not a coup. In 2000, the screams concerning the electoral votes in Florida were possibly audible on Mars, but the Democrats accepted it. As I have said multiple times, the most serious problem that we are conceivably looking at, is suppression of freedom of speech in order to squelch the talk shows, but I suspect that even those who have called for such measures would have second or third thoughts about it once it occurs to them that they would be gagging themselves in the long run. Many liberal politicians have socialist agendas, but despite all the rhetoric and controversies, we are within the same system. On my first trip to India a number of years ago, I had to get used to getting my ears burned concerning President George W. Bush. Like many other people around the world, many Indians do not understand American politics, but that does not keep them from having opinions, and expressing them unkindly. So, one day, as I was talking to a Muslim gentleman outside of a curio shop, he got started on comparing the politics of India vs. the U.S. I was all prepared to hear the usual complaints, but it turned out that his conversation topic was going in another direction. He told me how impressed he was by American politics. Specifically, he brought up the impeachment of Bill Clinton (who is generally very popular in India), and bemoaned the fact that--according to his understanding--in the United States even the highest-ranked politicians are accountable, while in India--again, as he saw it--there were no such means. Whether he was right or wrong does not matter for my purposes here. I simply want to use his observation to illustrate the fact that liberalism, even though it often is slightly disguised socialism, tries to achieve its goals within our system of government. So, for the moment, one or two more entries spawned by the question, "What is the difference between socialism and communism?" Tonight we're actually at the center of the isssue, but we're not going to be done quite yet. Communism can be made to look like socialism, and it apparently does have a lot of traits in common with socialism, but they are really two different things. Socialism is a theory on which to build a form of government; communism is the goal of an extreme form of abstract socialism. The Communist Manifesto intentionally rejected the term "socialist" because it already was way too watered down for Marx and Engels. The so-called Communist world after World War II, including the Soviet Union and the People's Republic of China, had not actually arrived at the point of Communism; the whole idea was that they were on the way, but they hadn't gotten there yet. True Communism would be the eventual utopian state of a paradise for all. Until then, according to Marx's prediction and the self-description of the "Communist" countries, the Dictatorship of the Proletariat was the current manner of government. (Of course, the proletariat could not really begin its alleged dictatorship before thousands of them were killed by its self-proclaimed leaders. See Eugen Rosenstock-Huessy, Out of Revolution: Autobiography of Western Man, chapter four). Thus, the sequence in the twentieth century was supposed to be this: In an ever-spreading series of falling dominoes, one country after another would experience the decisive revolution in which the proletariat, guided by the Communist thinkers, would overthrow the bourgeoisie. Then the process of reallocating the private property of the bourgeoisie would begin. This move was supposed to be considered to be identical to the abolition of all private property since the proletariat didn't own any worth mentioning. Then, when everything has been reappropriated, humanity would experience the materialistic nirvana of Communism. So, socialism, as we have seen, can take many forms. It can be a minimalist standard by which a government looks out for the welfare of all of its citizens. Not everyone is capable of gainful employment or personal self-maintenance (and don't forget that in the USA, NGO's are still supported by tax deductible gifts, so the government is not totally out of the picture). Socialism can be the principle by which a liberal government implements policies according to existing laws and standards (I'm ignoring effectiveness for the moment). It can also be a code word for something far more invidious, namely the forceful and inhumane reallocation of property and power by individuals whose actions consistently belied their alleged intent. But we're not done yet. Fascism, as I said at the outset, is also a form of socialism, and--as far as I can tell--at this point in time, it is once again much more of a threat to us and the rest of the world than Communism. Well, on with the discussion. Another manifestation of socialism, and the last one I want to mention, is Fascism (aka National Socialism). Now, if you look up "Fascism" in a reference work, say the Wikipedia, it may start out with a pretty clear definition, but in fairness has to add variations on that understanding of the term from different scholars, and pretty soon it seems pretty confused. The problem is that this word originated in specific circumstances and since then has been applied to other, differing, circumstances, so that any firm denotation must either squeeze or stretch the original meaning in order to fit other situations. (A very similar phenomenon has occurred with the word "fundamentalism." Scholars argue about its general meaning in Islam and Judaism, not realizing that it does not have any meaning there at all, except whatever they want to endow it with. A political philosophy, movement, or regime . . . that exalts nation and often race above the individual and that stands for a centralized autocratic government headed by a dictatorial leader, severe economic and social regimentation, and forcible suppression of opposition. G. W. F. Hegel (1770-1831) maintained that the Prussian kingdom of his day was the last manifestation of the freedom of Absolute Spirit. The Prussians? Oh, the never-ending possibility for jokes! There was a budding liberal movement at the time, advocating the demise of the monarchy and the installation of democracy. In fact, in his student years, Hegel and his friends, such as Schelling, idealized the goals of the French Revolution, but then later in life he was (at least conceptually) a strong supporter of the Prussian monarchy. So, people frequently paint Hegel as a nationalist and a forerunner of the Nazis. However, as Walter Kaufmann has shown eloquently in an article that should be required reading for anyone making pronouncements on political philosophy, Hegel's mature political views made a lot of sense. For one thing, what country would one consider to be more advanced in promoting freedom at the time? Would you like to pick France in the throws of the Napoleonic disaster or maybe either the pre-Napoleonic or the post-Napoleonic disasters? Or perhaps the United States or England who were still maintaining the institution of slavery? As much as it appears contrary to our stereotype of Prussia, which immediately seems to conjure up visions of marching soldiers, Prussia was in many ways the freest country of its day. Second, a phenomenon that continued throughout the nineteenth century in Germany was that pro-democratic liberalism was also linked to vicious anti-semitism, and Hegel as a mature adult was a committed anti-anti-Semite. Ditto Nietzsche. If there were any two ideas that Nietzsche despised almost as much as Christianity, they were nationalism (particularly German nationalism) and anti-Semitism. So, are we going to put Hegel and Nietzsche on the left or the right side of the political spectrum? It would seem to me that the best thing to do is to go easy on the identification of political views as left- or right-handed, and let the particular position speak for itself. Oh, time flies. Well, I'm still not going to get this done tonight. More tomorrow! In the meantime, you may want to contemplate that definition of fascism. the vilification of those who were deemed to oppose the will of the people as represented by the government. By that I don't just mean the usual rhetoric and name calling that is an integral part of political discourse, but their active suppression by means of depriving them of freedom of expression or even by downright persecution. The above description sounds extreme, of course, but as I keep saying, unless you slept through the twentieth century, you know that whether we are talking about the so-called left (Communism) or the so-called right (Fascism), it barely does justice to the horrific events of the last one hundred years. Millions of people have been murdered by their own governments in the name of totalitarian ideologies, and millions more have had to live in their shadow. Even now, the countries that are still calling themselves "Communist" have actually metamorphosed into Fascist dictatorships. B. In the contemporary American political argot, "left" and "right" have taken on totally different meanings. The emphasis of what is now the "right" is on a decrease of the role of the central government in our lives and an emphasis on our freedoms in commerce, beliefs, and religion. 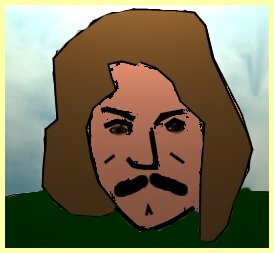 Consequently, to come back to my original vignette, "D.D.," our hypothetical talk show host, cannot possibly be a Fascist. The further "left" you go, the closer you get to a strong central government with an integrated socialism. Let me go just a little farther out on a limb. For the last sixty years we have been so occupied with the threat of Communism and then with its demise, that we have not really looked carefully enough at the nature of Fascism. Just as in the 1970's we were caught totally unawares by Islam as a political system as well as a religion (and many people still are), I'm not sure we're really aware of the possibility of a new form of Fascism as something that's not just a page from history or a "third-world" phenomenon. I wonder whether four years from now we will still be able to listen to D.D. on the radio or write blog entries such as this one. I said at the outset of this series that these thoughts are triggered by the election, but are not about the election. So, if you like, you can let them be done with those asterisks. However, I'm worried that someone may draw inferences from what I said that I don't intend, so please let me clarify. Are we all clear yet on the fact that President-elect Obama is neither a Muslim nor a Communist? . . . Good.